Ubisoft today rolled out free VR support for Trackmania Turbo, the latest installment in the online multiplayer arcade racer series. The update is now available for owners of the game on PlayStation VR, Oculus Rift and HTC Vive. 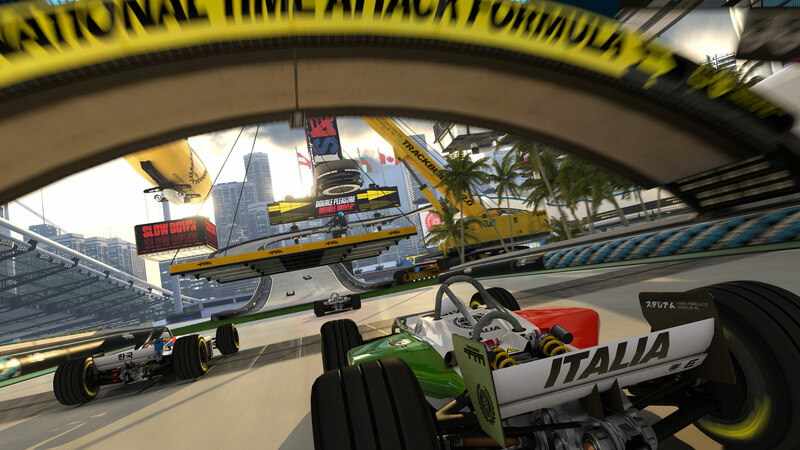 A total of 40 tracks spanning 4 different environments are available today for VR headset users, but if you’re looking to put your pinky toe in the waters to see if the fast-paced, high-flying arcade racer is right for you, a free demo—something that is sorely lacking in the VR marketplace as of late—is available featuring four tracks. The demo is accessible on both Rift and Vive via Steam, and on PlayStation VR via the PlayStation Store. Players on PC should note however that like all Ubisoft titles, you’ll need an Uplay account to run the demo. Since I don’t own the game, I popped into the demo, a ~3 GB download, to see what it was all about. What I found were four very short tracks, two in the campaign section of the ‘Canyon’ area, and another two in the arcade section of the ‘Lagoon’ area. And while Ubisoft says that with the VR version “players will be able to experience the intense speed, the spectacular jumps, loops and wall-rides … like never before thanks to the VR technology,” they neglect to mention that it is done almost entirely in the third-person with brief interludes that auto-zoom you into the first-person. As far as I can tell, there is no ‘always on’ option for the first-person view. Trackmania Turbo is also supporting the new PlayStation 4 Pro, which according to Road to VR Executive Editor Ben Lang generally adds a few noticeable improvements to the overall PlayStation VR-playing experience, although are pretty minimal for someone looking to make the upgrade. Take a look at our full comparison between PS4 and PS4 Pro to find out more. 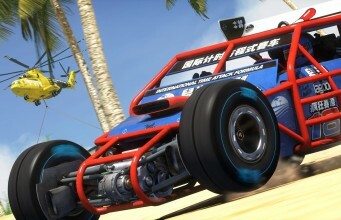 Ubisoft production studio Nadeo first announced VR support for TrackMania Turbo at its E3 2015 unveiling. The full, non-VR game saw a March launch of this year which includes over 200 tracks and holds an agrigated score of 81 on MetaCritic and ‘mixed reviews’ Steam. The post ‘Trackmania Turbo’ Receives Free VR Update for PlayStation VR, Rift and Vive appeared first on Road to VR.